This always cracked me up a bit. I wonder if there is anywhere else in the country where two interstates going in opposite directions follow the same path. 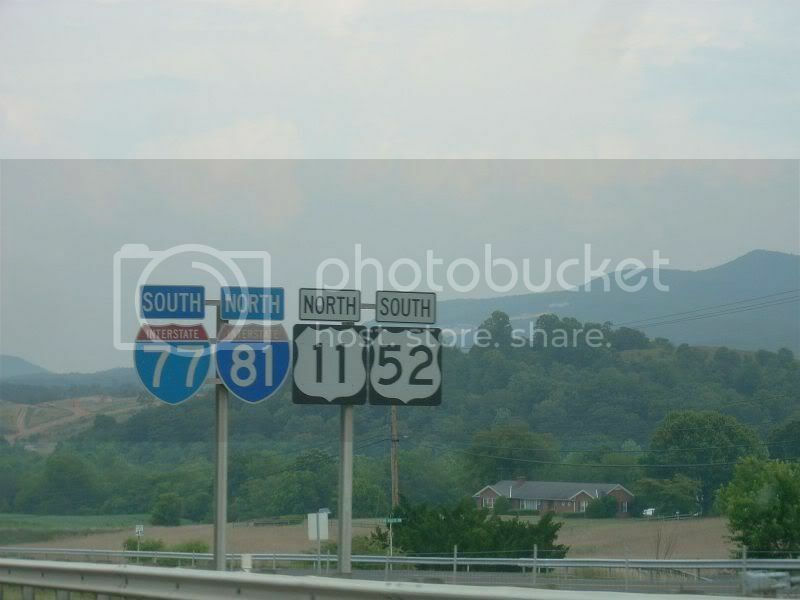 This is down in Central Virginia where 77 and 81 follow the same route down in a valley for about 10 miles or so. Probably though, 81 is running more E/W at this point than N/S. Re: You're going which way? are together as one. I-85 runs north & south while I-40 runs east & west. to qoute both of ya, the duplex between I-81 & I-77 was the only bi-directional interstate highways out there where one is goin the opposite directions of one another, now since the opening the I-40 section of the Greensboro By-Pass, there's a new little known bi-direction duplex, where I-73 & I-85 go the opposite of one another, note its not signed, so you'd never notice.